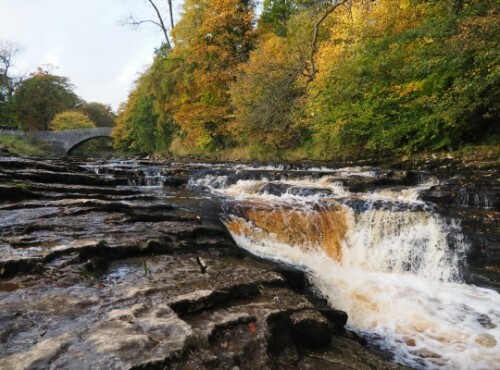 Stainforth Force is the name given to a series of small cascades on the River Ribble just south of Stainforth Bridge, an old packhorse bridge that dates back to 1675. 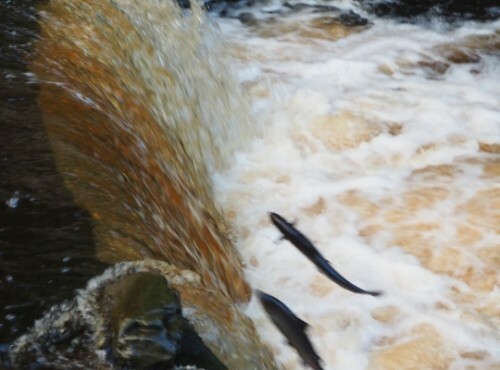 Although the waterfalls themselves are fairly modest in the autumn they are the location of one of the finest natural spectacles that the Dales has to offer when numerous salmon can be seen leaping the falls on their way to their spawning ground in upper Ribblesdale. 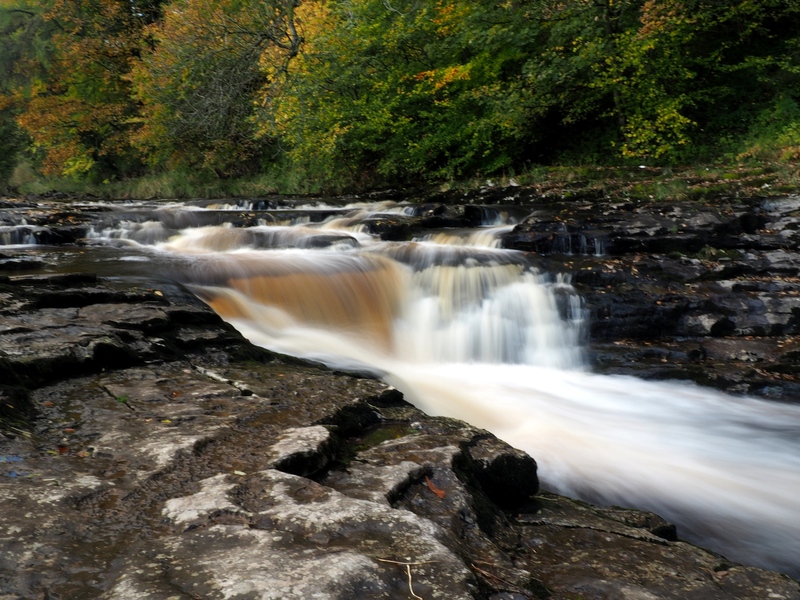 Stainforth Force is one of the more accessible waterfalls in the Dales and can be reached within a five minute walk from Stainforth. For some people even this short distance seems to be too much and in the summer the narrow road either side of the bridge is choked with parked cars. Indeed with a caravan site right bang next to the waterfall Stainforth Force tends to get very busy in the summer and is probably best avoided. Unless of course you want to join the hordes enjoying their barbecues or leaping into the deep pool immediately below the waterfalls.